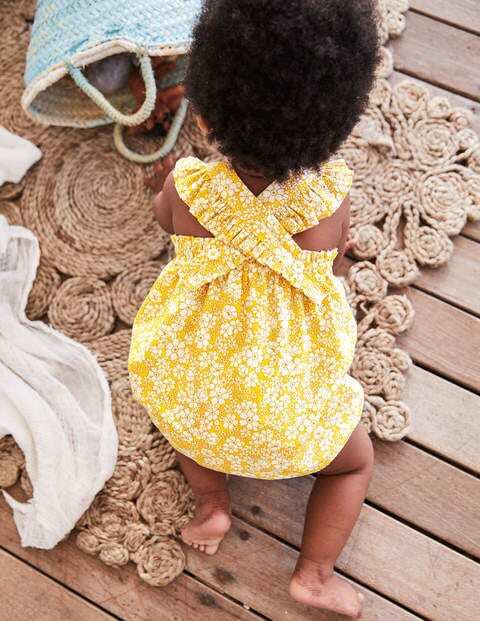 When it's (finally) time for a summer playdate at the park, turn to this nostalgic romper. It’s elasticated around the legs and has adjustable straps to grow as your little one does. A sweet floral pattern is topped off by ruffles on the sleeves. You bring the picnic blanket, we’ll bring the strawberries.